Since the advent of 2000, the limited-overs formats have gradually begun to sideline Test cricket. At the turn of the millennium, ODIs became firmly entrenched in the minds of cricket aficionados across the globe. Following the success of the inaugural edition of the World T20 in 2007, the razzmatazz of the shortest format has attained alarming popularity. However, the last eighteen years and counting have still managed to provide plenty of moments to rejoice for connoisseurs of Test cricket. While several stars from various teams have established themselves in the annals of the game, there have also been quite a few players who have failed to live up to the massive expectations that they themselves generated during their early years in the format. In no particular order, let us take a look at five of the most overrated Test cricketers who have played in the post-2000 era. With no quantifying metric to evaluate hype, the criteria for selecting these players emanates from the inability to fulfill their potential in the purest format. While some of the names in this list have attained significant success in coloured clothing, they failed to deliver in Tests and thus created lingering doubts as to whether they really warranted all the hype surrounding them. With his nonchalant demeanour and composed approach to the game, Ashish Nehra battled through numerous injuries to serve India's limited-overs teams in an adequate manner. In particular, he was a very useful bowler in the 50-over format. Accuracy and versatility helped him play a crucial role in India's 2011 World Cup triumph. For all his white-ball success, he could not quite adapt to the rigours of Test cricket. Since making his debut during the Asian Test Championship in 1999, Nehra played 17 matches in the premier format. Paltry returns of 44 wickets at an underwhelming average of 42.40 and strike-rate of 78.3 reflect his struggles in the Test arena. 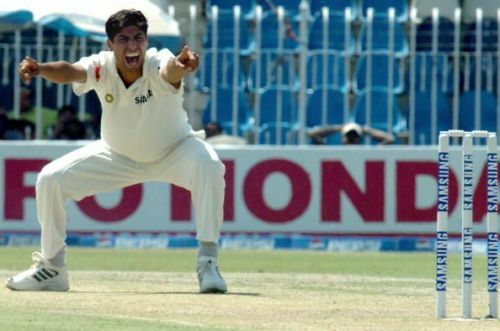 When Sourav Ganguly took over the captaincy in 2000, Nehra was touted as India's next big hope in the pace bowling department. However, recurring fitness issues as well as lack of penetration with the older ball meant that his Test career never really took off.